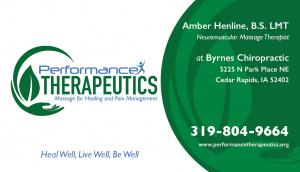 Amber is a massage therapist who it also a competivie body builder. She wanted to focus on health and well being. She wanted to portray massage therapy can help people reach their peak potential and optimize their healthy life choices.